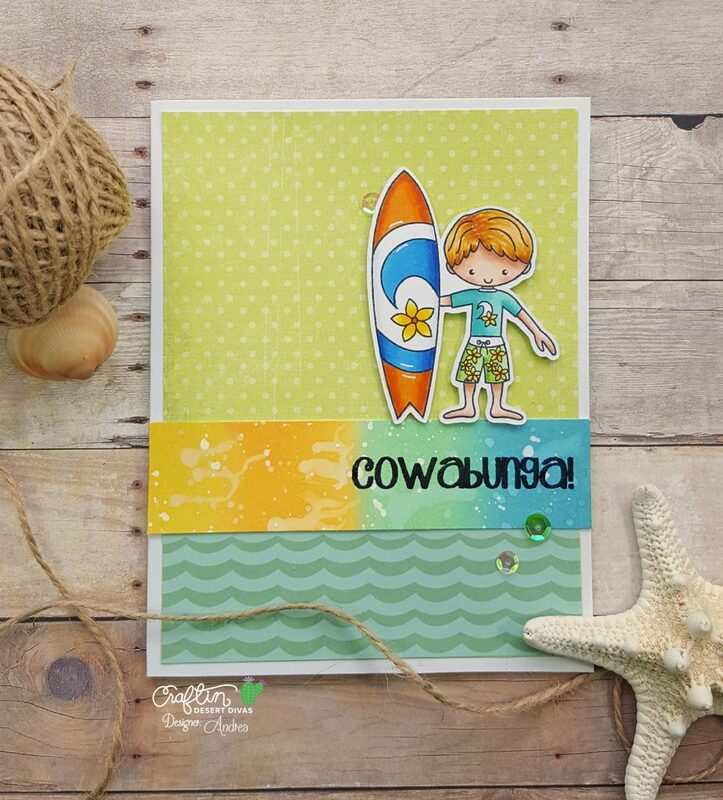 Craftin Desert Divas Blog: Cowabunga! Hello, again! 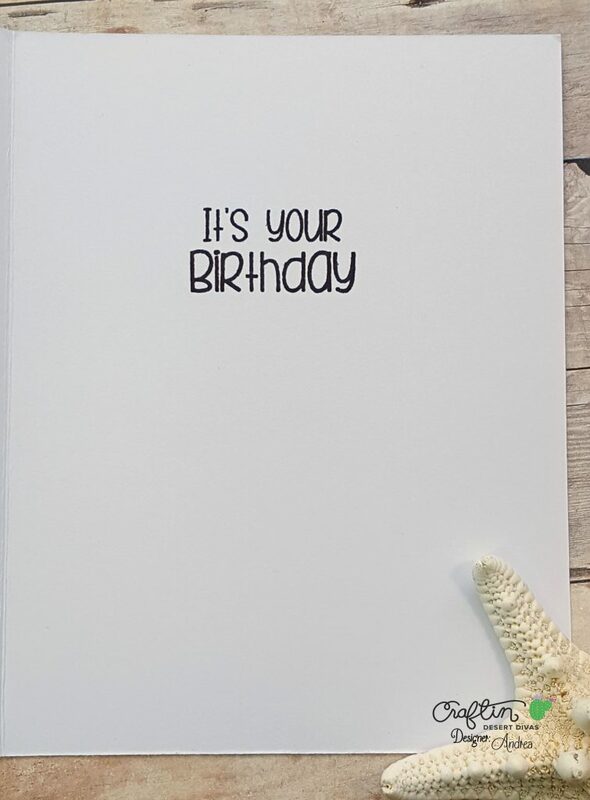 It's Andrea here sharing a cute card for a boy. I don't know about you, but masculine cards don't come easily. Lucky for me, Craftin Desert Divas has lots of great stamps that work perfectly for boyish cards. 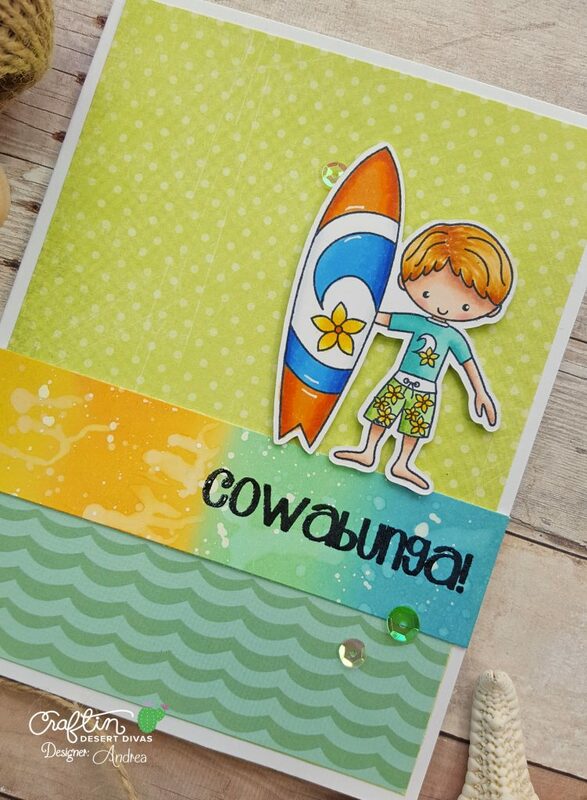 My card today features two adorable images from Island Paradise. I first stamped the surf board and, after masking it, stamped the boy. I colored the image with Copics and cut it out with my ScanNCut2. Did you know CDD will soon be carrying the fabulous Distress Oxide inks?! I ink-blended a strip of Bristol Smooth paper with Broken China, Cracked Pistachio, Spiced Marmalade, and Fossilized Amber distress oxides. I flicked on some water, let it pool a bit, and then tilted the strip to allow the colors to move (I helped some drops with a paintbrush). I also flicked on some watered-down white paint for more interest. After the strip was dry, I heat-embossed a sentiment from Farm Living. I trimmed some papers from Pebbles (wavy) and My Mind's Eye (green) and adhered them to my card. I added my ink-blended strip, popped up my colored image with foam tape, and finished the card with some Sweet Pea Sequins. On the inside of my card, I masked and stamped a sentiment from Punny Farm.